Estimated gun sales declined double digits last month, marking the slowest October since 2011, according to federal data, and continuing a pattern first established over the summer. Dealers processed just over 2 million applications through the National Instant Criminal Background Check System last month. 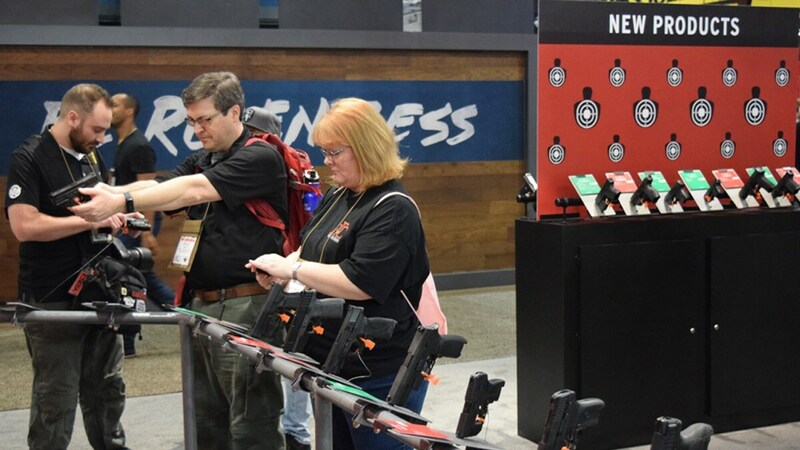 Estimated gun sales — the sum of transfers in the NICS’s handgun, long gun, multiple and other categories — declined more than 12 percent and totaled just 928,474. Dealers processed over 460,000 applications for handguns and just under 418,000 applications for long guns last month. The latter represents the slowest October recorded in a decade. Likewise, long gun tallies for July and August sank to 10-year lows, returning to levels not seen since before the election of former President Barack Obama. September fared even worse, ranking dead last in the 20-year history of NICS. 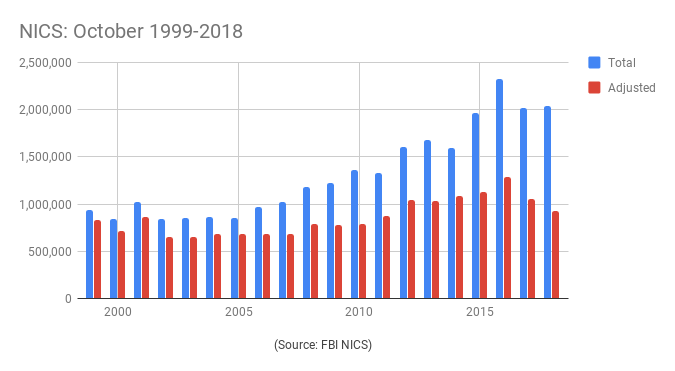 The current year remains on track to rank as the second busiest for NICS checks since the FBI first began keeping records in 1998, eclipsing the first 10 months of 2017 by 5 percent. Estimated sales, however, are trailing 6 percent, according to the data.